Whether you want to avoid hazards while driving or find the fastest route to get to your intended destination, Android Auto lets you get directions to where you're headed. The 2019 edition of the Ford Transit gives you three different engine options to match the performance you need from a passenger van. This makes it possible to match engine power to the type of traffic you need to navigate and the maximum passenger and cargo weight it'll carry. The Ford Ranger is one of the dependable vehicles that we offer at LaBelle Ford. As a mid-size truck, it has a great combination of practicality and ruggedness. When we say, "Ford Tough," we sincerely mean it. The Ranger has gone through miles and miles of testing in various conditions, ranging from sub-freezing temperatures to 100 degrees. Best-in-class is a good way to describe the Ranger. 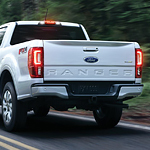 Its gas torque, fuel efficiency, payload, and towing lead the class of midsize pickups. 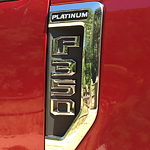 What Are The Capability Features Of The Ford Super Duty? A heavy-duty pickup truck will always get the job done when other cars can't. Its best in the world performance and incredible capabilities make them the go-to choice of the hardest working people in the world. 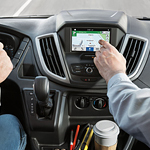 That is why our team of seasoned truck experts at LABELLE FORD is so excited to tell you all about the brand new 2019 Ford Super Duty. A car is much more than just a means of transportation. When you have a car that has the type of performance that delivers enhanced power, it can be a lot of enjoyment and a lot of fun to drive! 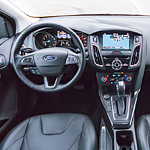 The Ford Focus is not only popular for being a practical car that is extremely dependable, but it also packs powerful performance with a 2.0-liter Ti-VCT direct-injection I-4 engine, which delivers 159 horsepower.